This spring we launched "Trailblazers for the Future," a series of workshops designed to bring contact center training into the digital era. These programs help customer service professionals develop skills in emerging technology. So far, our first three workshops have been well received by our service community, allowing us to evolve the program so that we are now getting rave reviews. Read on to learn what’s happened so far, what’s coming this summer, and how you can attend an event yourself. First, a little background. We consistently hear from our customers that education and training are an obstacle, especially for managers and agents wanting to deliver world-class customer experiences. 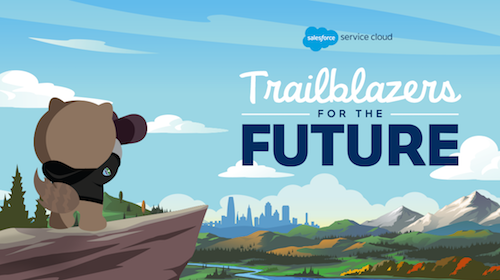 So, we jumped right in and launched "Trailblazers for the Future." We’re excited to help our customers address this critical need and improve their own customer experience efforts. This free program is designed to empower, deliver, and establish a qualified talent pool of customer service managers and agents. It provides them with the skills they need to facilitate consistent and efficient customer conversations — and even jump start career growth opportunities. People around the world use Trailhead to expand and hone their Salesforce skills. Now, the service industry is included with three new trails for both managers and agents to help contact center leaders “skill up” for the omnichannel world. And we're taking this on the road with hands-on workshops and online learning. 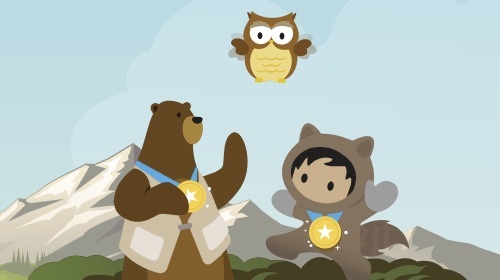 Together, our Trailhead and "Trailblazer for the Future" events will focus on teaching new tech soft skills, sharing best practices for multi-channel customer service efficiency, and using new digital tools to create deeper customer relationships. So far, our customers love "Trailblazers for the Future." People around the country are embracing the format, the simplicity of the presentations, and the enthusiasm of the trainers. We kicked off our national tour in South Bend in April. The event was co-hosted by Lippert Components and IDEA Week, a new innovation festival created by the Notre Dame Idea Center. Our customers got to hear industry Trailblazers share practical examples of their success based on skills learned in these workshops. Attendees also were taught easy-to-practice mindfulness exercises to help them stay calm when handling difficult customer service situations. Next, it was off to Phoenix for our second service manager workshop, hosted by Salesforce and featuring key customer Trailblazers, Nicole Sult from Lippert Components and Kevin Bosak from The Home Depot. The training resonated with our customers who all felt they received practical and useful information to take back to their teams. They thanked us for the new approaches learned around coaching agents and de-escalating tense customer service situations as well as a few ideas on hiring for an omnichannel contact center with a multigenerational workforce. In Las Vegas, we partnered with Customer Contact Week (CCW), the annual gathering of CX and customer care professionals. There, we linked up with their Future Leaders Certification to share information from thought leaders outside of the "Trailblazers for the Future" circle. The two-day program was a hit. Nearly half the participants surveyed said they would be interested in attending again or sending teams to attend another training in the next 12 months. Customers especially loved the infusion of humor and entertainment, the storytelling of Myra Golden, new content around best practices for handling customer cases (by channel), and the opportunity to stay connected with Trailhead and our Trailblazer Community for Service Cloud customers.